Since the establishment onwards investing in its R & D studies Ford Otosan has staged for the investment which had importance for the automotive sector in 2015 in addition to innovations in its product portfolio. The official inauguration of Turkey’s biggest R & D center was made. 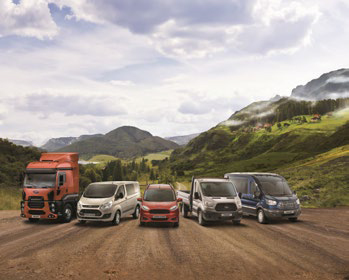 As the single Turkish automotive company having ability and infrastructure to develop, design and test a commercial vehicle beginning from first step to final stage, Ford Otosan continues to develop vehicle and engine as well as Virtual Reality Laboratory and HIL laboratory. Ford Otosan will also offer Ecotorq engine 9 lt. and 13 lt. having E3, E5 and E6 emission rates in 2016. Featuring global center of Ford with its R & D activities in heavy commercial, diesel engine and engine systems, Ford Otosan serves to the Global Ford and the world automotive sector with the engineering studies in passenger and light commercial vehicles.